The idea of Harald Sigurdson’s last voyage came to Henry Treece when a young friend of his told him of the finding of the prow of a Viking longship in a lake in North America. He set out to devise a story round the kind of man who could make this incredible voyage from Scandinavia to the then unknown continent. 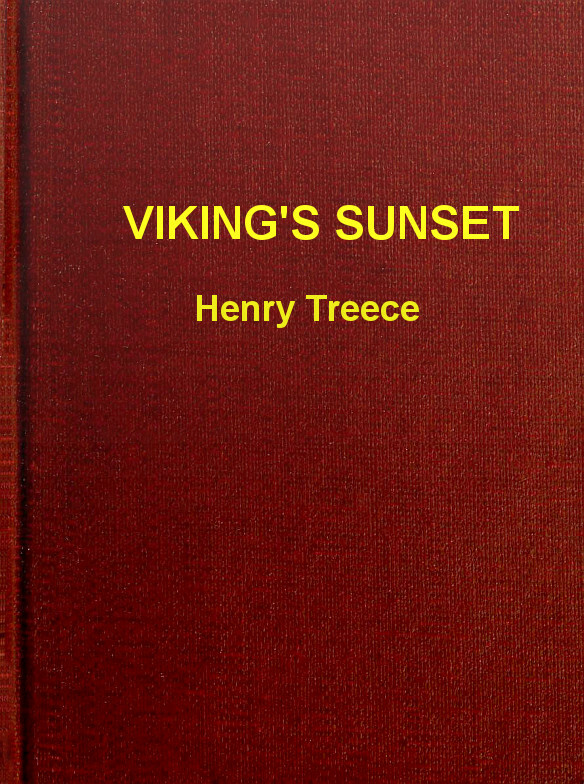 This book is the story of how Harald and his friend Giant Grummoch from The Road to Miklagard, set out in pursuit of marauding Vikings who have raided their homesteads, but instead of catching Haakon Redeye and his vicious companions, are swept by rough seas to far-off Greenland. Here they are befriended by Eskimos, and then sail still further westwards, to the land of the redskins, where Harald meets warriors as proud as his own, and fights against treachery crueller than death itself. Epub 20190222.epub If you cannot open a .mobi file on your mobile device, please use .epub with an appropriate eReader. Mobi/Kindle 20190222.mobi Not all Kindles or Kindle apps open all .mobi files.